Mix flour and all liquids in large mixing bowl, cover and let this rest for about 10 -15 minutes. When you are ready to bake, set mixer on high and mix the rest of the ingredients. When all ingredients are blended well and there are no lumps left. Pour batter into a greased non-stick bunt pan. 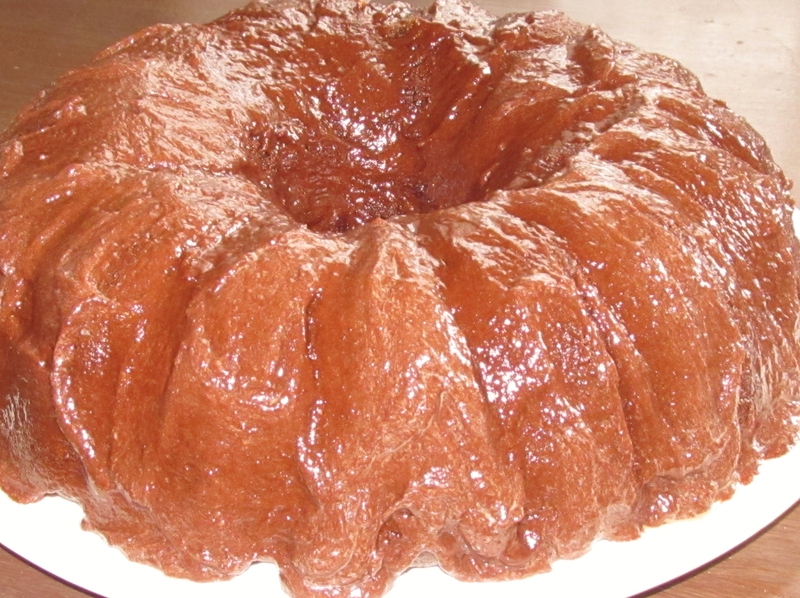 Bake for 40 – 45 minutes or until cake is set and pulled loose from the sides of cake pan. Remove from oven let cool for about 5 minutes and invert cake onto cake plate. Frost cake with icing below, while cake is still warm. In food processor blend all ingredients until smooth. Frost cake while cake is still warm, so frosting will melt and run down sides of cake. 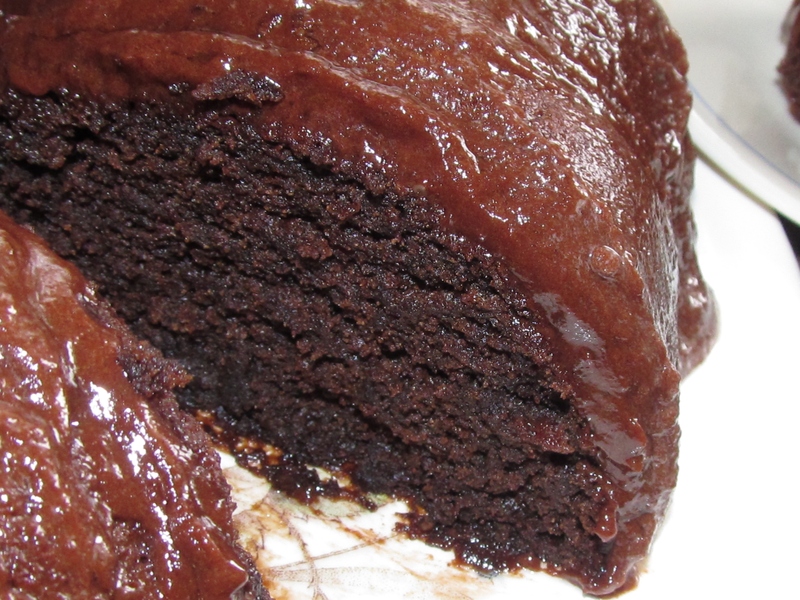 Warning this cake is so moist and rich, it can be addicting!